Next Thursday night, I will put the children in bed, complete all chores, and turn off my ringer. I will jump in bed beside my husband just before 9:00 p.m., turned the channel to ABC, and barely resist the urge to squeal with glee. For it will be the start of the Spring Season for Grey’s Anatomy and Scandal. Perhaps the Winter Finales of those two shows didn't leave you breathless and wanting and wondering why Shonda Rhimes insists on slaying you week after week. Perhaps you haven’t been counting the minutes since 11:01 p.m. December 12th, wondering how you were going to survive nearly two months without your adventures in Shondaland. Perhaps you don’t understand the lure of the on-call room or why one would need to put one’s white hat back on. And if all of the above are true, then this might not be the post for you. Otherwise allow me to dedicate the next two Wednesdays to honoring the two reasons I love Thursday nights. Just to give you an idea of how long Grey’s has been on the air, it premiered on a Sunday night with Desperate Housewives as a midseason replacement. Back then, I was a college student with no children and a different last name. Tweeting was something only birds did, and Barack Obama was newly elected to the US Senate having delivered an electrifying keynote address at the 2004 Democratic National Convention. Ten seasons, y’all. That’s two lifetimes in the modern television era. The original cast...so much has changed since then. 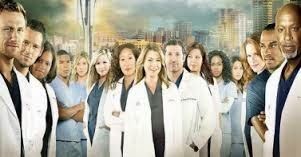 Though Grey’s has lost viewers over the years—which is a fan’s prerogative—many remain for one good reason: Grey’s knows how to tell a good story. From the issues with Burke’s trembling hand to the evolution of Meredith and Christina’s dark-and-twisty sistership, Grey’s is the place where Madame Rhimes showcases her mastery of using circumstance to tell a poignant often unexpected truth about how people relate to each other. In the hands of her dynamic, diverse cast, her stories resonate beyond the ER to reach viewers where they live. During commercial breaks, it is not uncommon for Horace and me to discuss and debate personal issues unearthed by a character’s deeds or diction, learning something about ourselves and each other in the process. Grey’s has affected my lexicon, granting permanent placement to “va-jay-jay” and “Seriously?” and inspiring spontaneous outbursts of “You don’t get to call me a whore.” It has given me season finales that haunted me all summer—remembering Izzy in that pink ball gown going to see Denny still makes me weep. It has shown Christina and Owen that love cannot overcome opposing values and through Sloan and Lexie the danger of romantic procrastination. And it has enthralled and entertained me to my soul’s great delight for the past near-decade. When I tune in next week, I’ll be waiting to watch Stephanie's reaction to the wedding's resolution, to see Bailey and Ben work through the strain in their young marriage, and to learn Derek's response to the President’s phone call. More than anything else, I’ll be on the veritable edge of my seat, eager for Madame Rhimes to work her medicinal magic on me once again. The current cast...my, how the family has grown! And if you're game, maybe we can tweet about it. I'm @ladylibre. 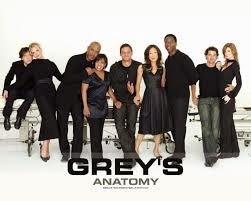 Grey's Anatomy Spring Premiere, Thursday, February 27th at 9:00 p.m. on ABC.